APM Project Management Qualification is project management distance learning. You will not need to attend a classroom based event or exam, and all material will be provided online for this project management qualification. For many, attending a classroom-based course is not an option for numerous reasons. CITI recognises how difficult this can be and has produced an alternative way to gain the APM Project Management Qualification Online Learning to suit your learning needs. By opting for the CITI online learning route you can study at a time, place and pace that works for you. All material for this course is provided online and it is one of the most effective and comprehensive ways to become accredited in project management. It is best to take this qualification after the APM Project Fundamentals Qualification (APM PFQ). Access to this online course for one individual licence is £150 + VAT. If you want to purchase multiple licences please contact us to discuss your requirements and to obtain a quote. Please note exam fees are charged in addition to the course fee. When you are ready to take the examination please visit the APM. 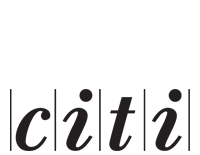 The APM Project Management Qualification Online Learning (APM PMQ) is a qualification from the Association for Project Management (APM). It is designed for project managers who have experience of project management. The primary purpose of the learning is to ensure that delegates have sufficient knowledge and understanding to successfully complete the APM Project Management Qualification three-hour, closed book, examination. The course covers the 12 learning outcomes (APM BoK 6th edition) included in the APM Project Management Qualification syllabus. The learning focuses on providing knowledge, principles and best practices in project management and includes exam preparation. The APM Project Management Qualification assesses the candidate’s breadth of knowledge in all areas of project management, from strategic and commercial implications, to the technical, organisational, and people management skills required to participate effectively within a project team. The online learning is made up of a combination of learning bytes which are narrated by experts, practice questions, flash cards and other learning games, including case studies together with access to CITI’s online study guide. The examination is quite demanding and a lack of effort and commitment on the part of the learner will result in failure to gain the accreditation. We strongly recommend that each individual carefully plans their learning and sets themselves achievable milestones to ensure that they keep on track. Wherever possible, having a work colleague or mentor (preferably the individual’s line manager) to discuss progress at regular intervals is beneficial. 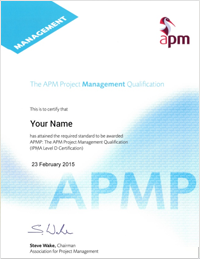 Assuming you are successful in the examination, you will gain the APM Project Management Qualification. We recommend that when you have completed at least 30 hours of distance learning you can consider booking your examination. However, different people have different learning styles and speeds, so we will not push you to take the examination on a given date – or impose cut-off dates on the elearning programme.